A sharp black accessory that offers precise timekeeping abilities, the Haurex Caimano watch features a circular black dial with luminous white hands and markers, as well as white indexes and a magnified date display at the 3 o'clock position. 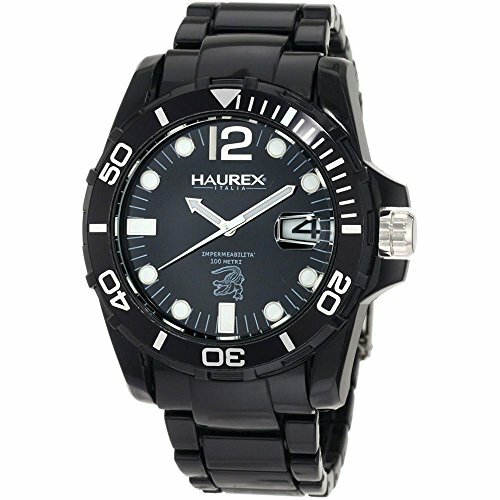 With a unidirectional rotating plastic bezel, and a comfortable strap, this all black watch is for great anytime wear. If you have any questions about this product by Haurex, contact us by completing and submitting the form below. If you are looking for a specif part number, please include it with your message.